Joomla editor provides some standart text editing shortcuts. If you want to use additional shortcuts, you need to rely on extensions. We have listed "Joomla! Keyboard Master" extension shortcuts below. 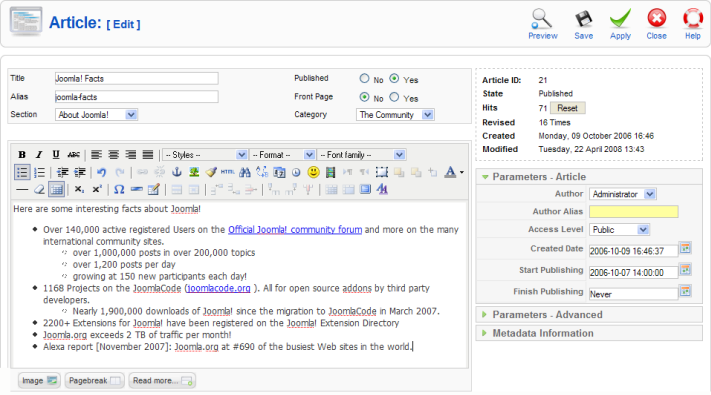 Redo the change most recently "undone"
This shortcuts are activated via extension called Joomla! Keyboard Master. If you want to try an alternatife shortcut extension, take a look at Shortcuts JX. Joomla is a content management system which allows you to create web sites and web applications. It provides lot of plugins and site modules to enhance websites and content. What is your favorite Joomla hotkey? Do you have any useful tips for program? Let other users know below.